Everyone who has ever owned a pet will know that pet hair is very hard to control. Unless you own a hairless cat or a poodle type breed of dog, you will have spent hours cleaning pet hair off everything in your house. Whilst cute, the hair that pets shed is very frustrating to clean up. Especially if your pets refuse to stay off the furniture, so whenever your back is turned they are curled up on your couch. Upholstered furniture is a prime example of a space that pet hair is difficult to be removed from. Vacuuming can remove some hair, as can lint rollers. However, neither method nor a combination is sure to remove all the hair. 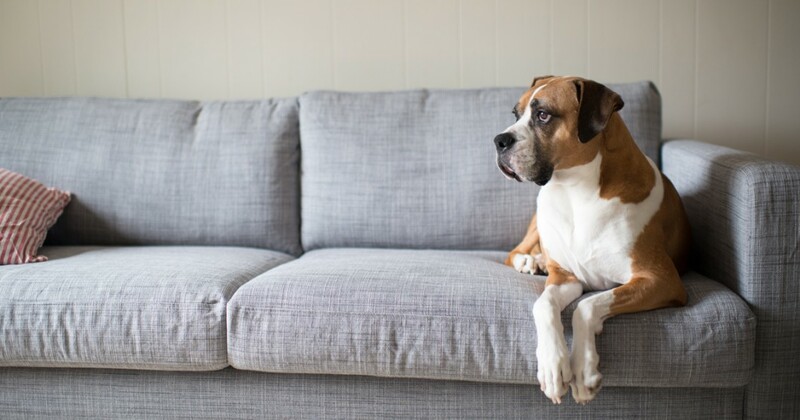 Fortunately, getting a professional clean will not only remove all pet hair but also the bacteria and dirt that goes with having pets that you can't see living on your furniture. Children are undeniable sources of stains on upholstered furniture. It's the accidental trips and spills of juice, the refusal to eat at the table, dirt from playing outside, deciding that berries belong on the couch, the list is never ending. Children are not the only culprits, do red wine stains sound familiar to you? Unfortunately, some stains can be very hard to remove. There are DIY cleaning solutions for stains on furniture, however, the success of those solutions is never guaranteed. Before attempting any DIY cleaning make sure you read the care instructions for your upholstery, which should be found on tags underneath your couch, chair or couch cushions. These instructions will tell you the type of fabric of your furniture and what products can be used on it. Ever walk into a friend's living room and think something smells a bit off? You then look around the room to find the source of the smell, there are no pets, toddlers or strange food being cooked. Yep, probably the furniture. It doesn't take much for furniture to begin to get a smell about it, especially in houses with high traffic. Sweaty children getting back from sport and sitting on the couch, pets, food spilt etc. Simple methods of removing odours can be found online (baking soda, vinegar, different spray concoctions), however, whether they work is another matter. Remember that fabrics will react differently when treated with products. Enquiring with a professional before trying any internet suggested solutions is the best course of action. We can offer you advice that won't damage your upholstery. Furniture doesn't need to smell, have pet hair or stains to look ‘grubby', sometimes just use will be the cause. Light coloured upholstery is most vulnerable to looking a bit off after a year or two of high traffic use. Light coloured furniture can begin to discolour or darken. In bad cases, exactly where someone will usually sit will be noticeably darker or off coloured than other sections of the couch or furniture suite. Some people decide putting couch covers on at this point is a good idea to freshen up the look of their couch. However, this is just masking a sign that your upholstery needs a professional clean. After all, leaving ‘grubby looking' furniture untreated can cause other issues such as odour and allergy problems later. A common cause of household allergies for people are dust mites. Dust mites are microscopic relatives of spiders that can live on upholstered furniture. The best way to control dust mites is to regularly clean blankets and cushions you have on your furniture. However, if your regular blanket and pillow cleaning isn't reducing your allergies, it could be time to have your couch professionally cleaned. Pet hair is not the only concern for those with allergies, pet dander is more commonly the cause of allergic reactions. Pet dander is tiny microscopic of skin that your pets shed, hypoallergenic dogs will still produce pet dander. So even if you don't see pet hair on your furniture, for those sensitive, pet dander can still be causing allergic reactions. 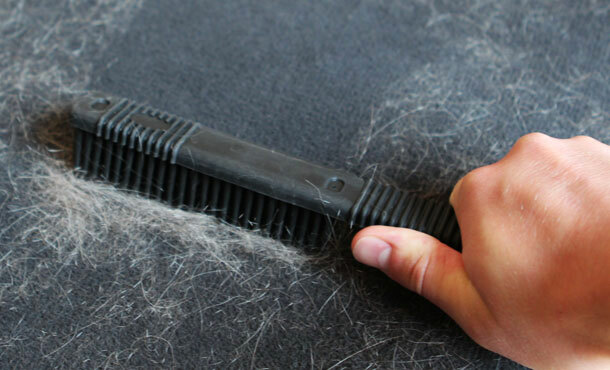 So are you tired of vacuuming your couch just to find that the pet hair remains? 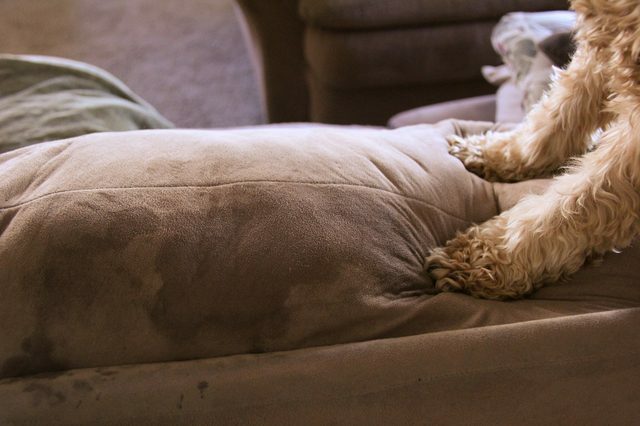 Your children, housemates or friends have spilt something on your couch…again? Has a house guest mentioned a funky smell and you've realised it's your couch? Or has a sensitive person in your household had their allergies flair up?